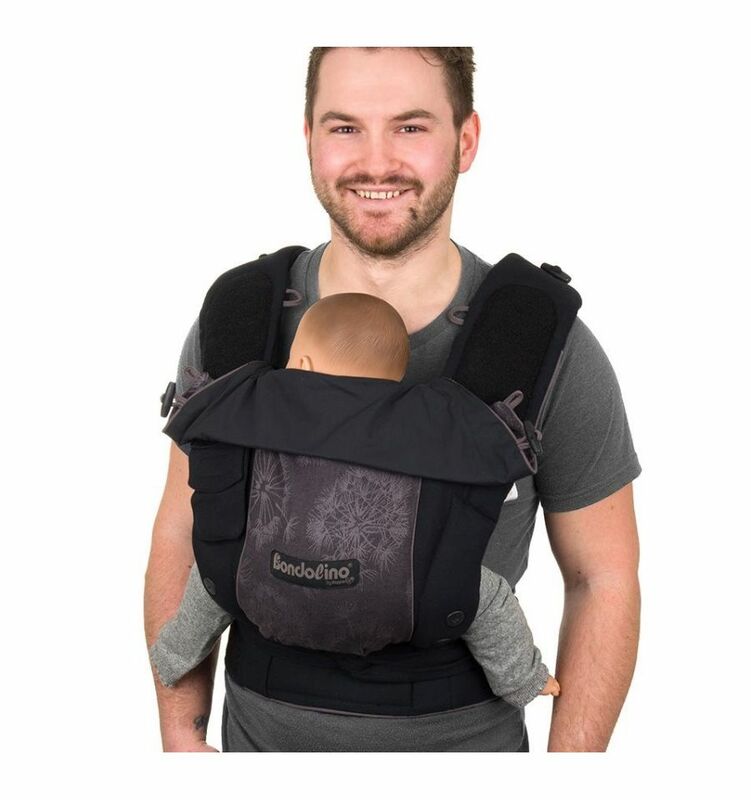 The Bondolino is fitted with a very wide base between the baby’s legs. 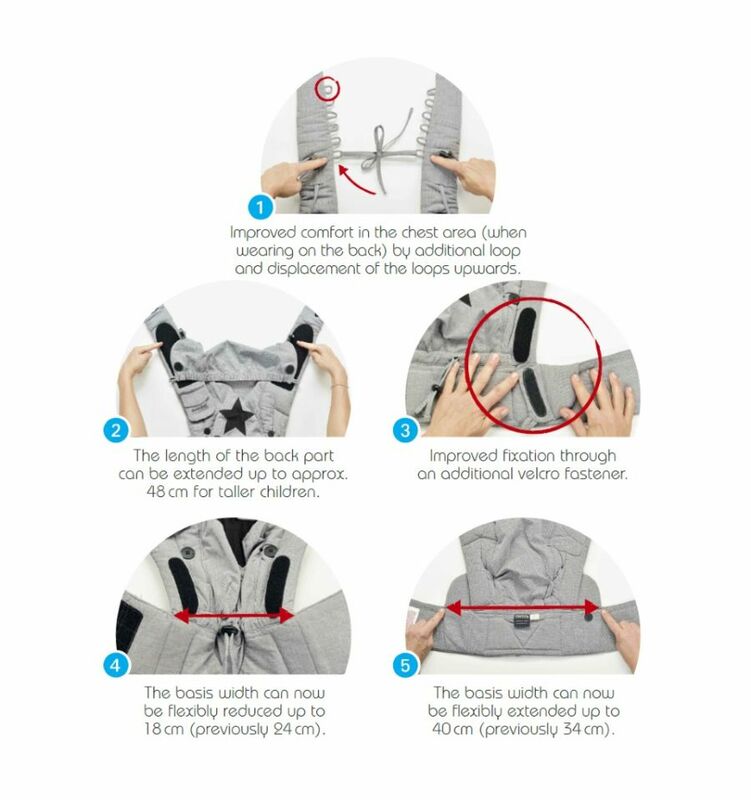 This wide base supports the baby’s correct spread squat position in the Bondolino and therefore promotes healthy hip development. 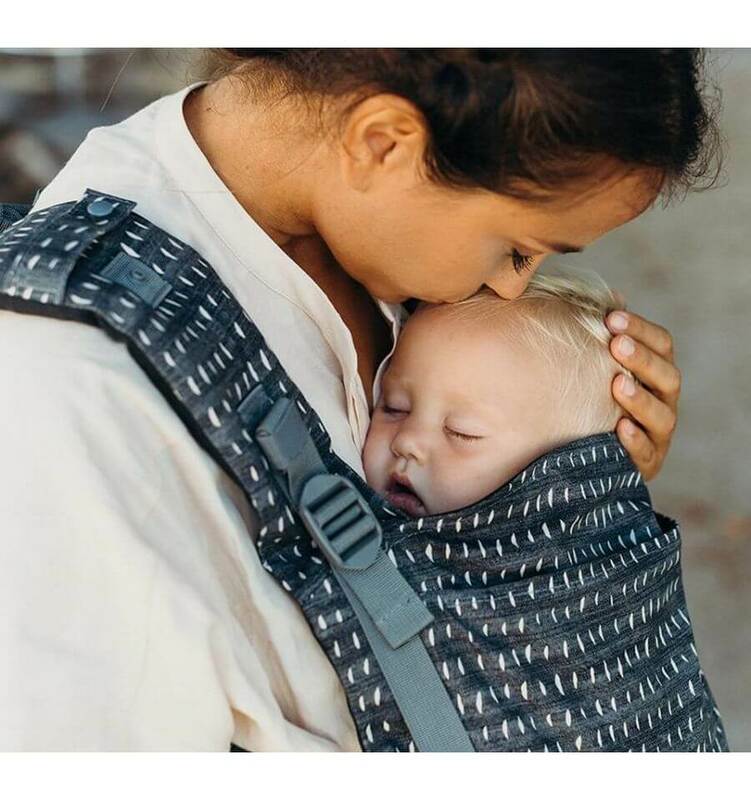 Thanks to its wide, padded shoulder straps, the Bondolino Poplin also adapts optimally to the carrier’s shoulder and neck area. 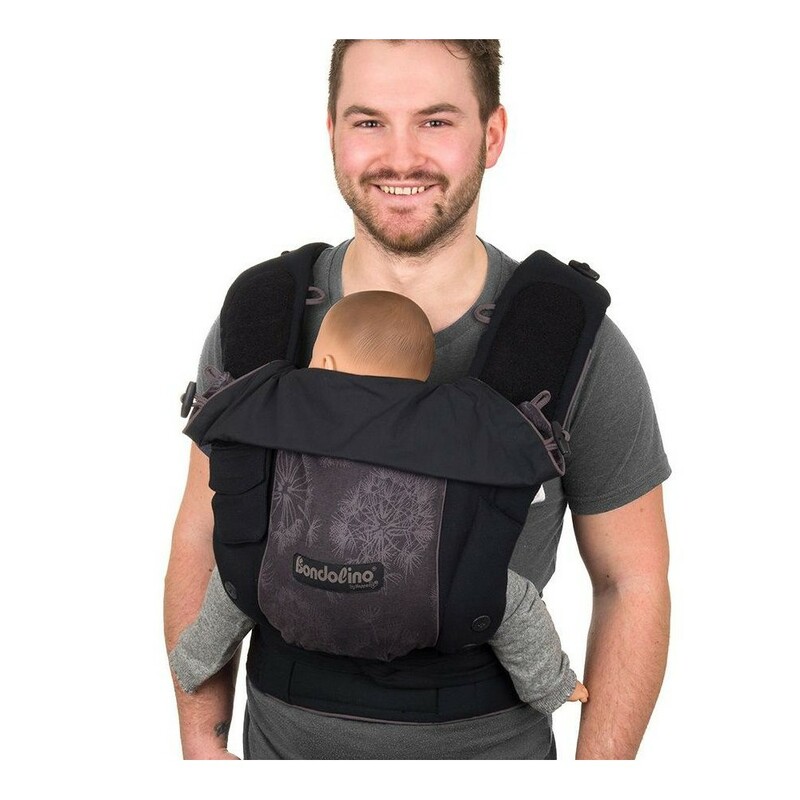 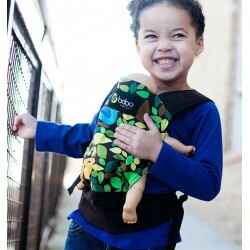 It offers exceptionally comfortable carrying without pressing or cutting, and is therefore extremely good for the parent’s back – even with heavier babies and longer carrying! 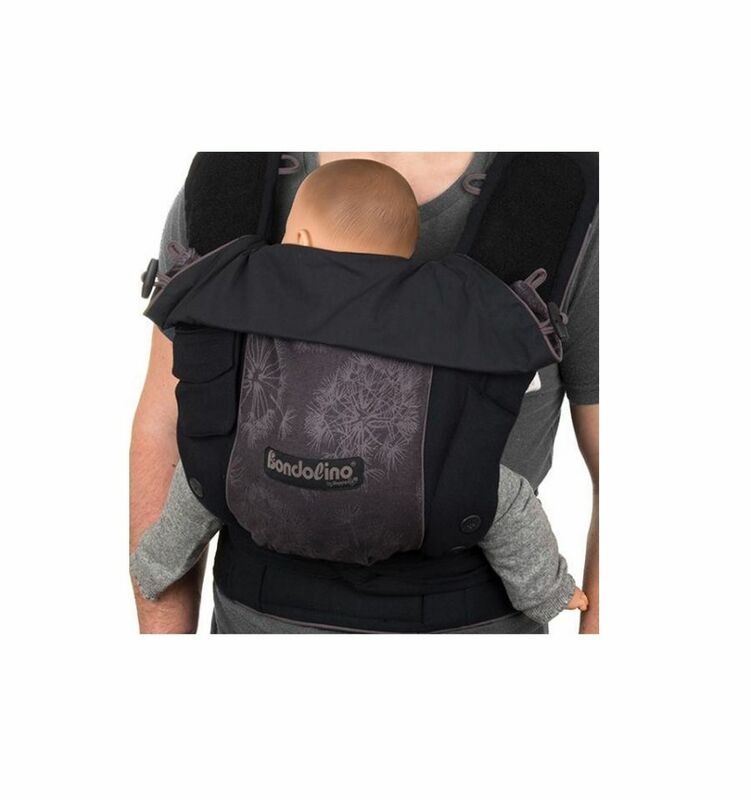 Hoppediz deliberately decided not to use hard buckles, press buttons or snap fasteners so that carrying is as comfortable as with carrying a baby sling. 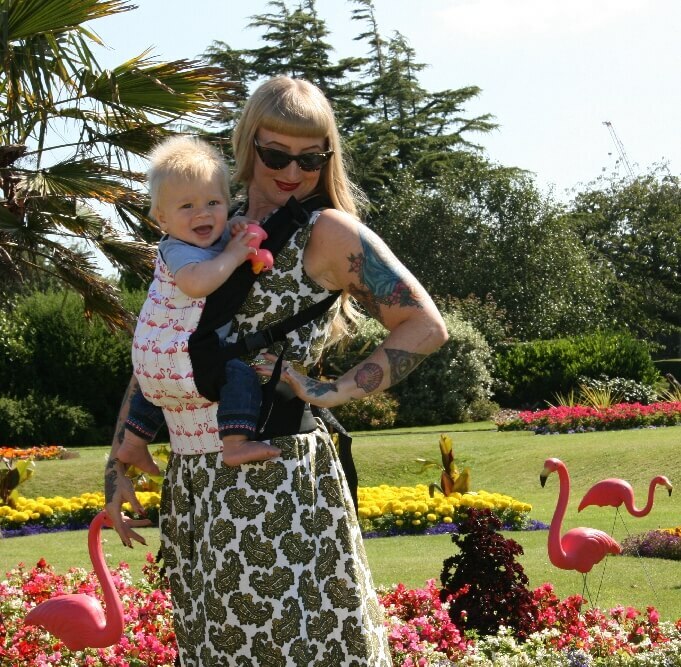 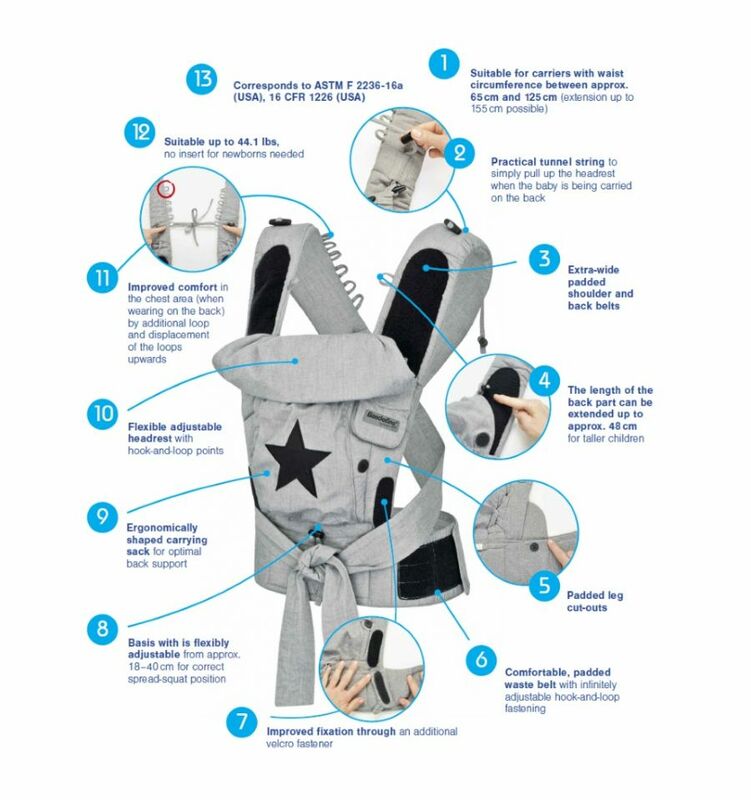 The Bondolino is extremely simple to use and is ideal for parents who feel that a baby sling is too complicated.